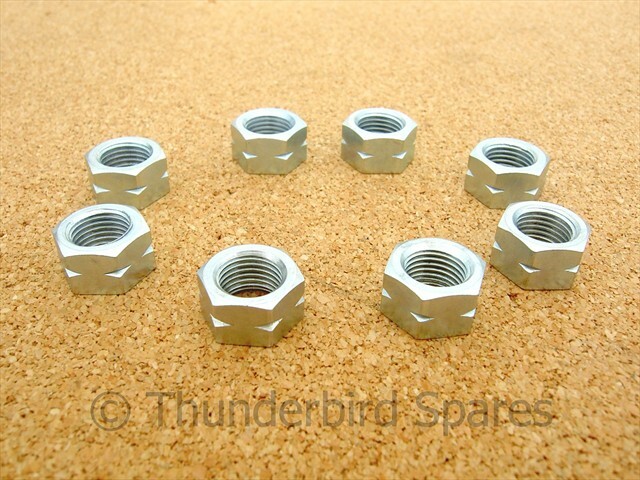 This is a full set (8) of new British-made, good quality, cylinder base nuts to fit all the unit construction Triumph 350 & 500 models from 1957-1968 (ie T21, 3TA, T90, 5TA, T100). They also fit the pre-unit models T100 & TR5 models that used alloy cylinder barrels only. The set has the 8x reduced hexagon nuts as fitted as standard. They are 3/8 CEI thread form, they are bright plated steel as original. They are manufactured by L.F.Harris in England.